This DMU is formed from vehicles from two different former Western Region sets. DMBS 51347 (seen leading here) came from set L412, and DMS 51401 came from set L421. 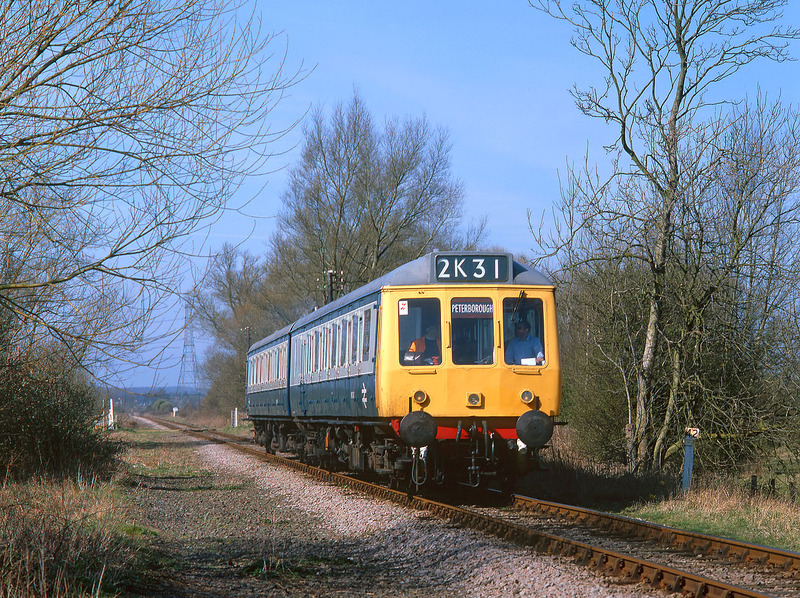 Whereas the other two vehicles from set L412 have been scrapped, all three vehicles of set L421 are still in existence. 51347 & 51401 are pictured passing milepost 42, on the Nene Valley Railway near Castor with the 10:40 Wansford to Peterborough service on 19 March 2000.